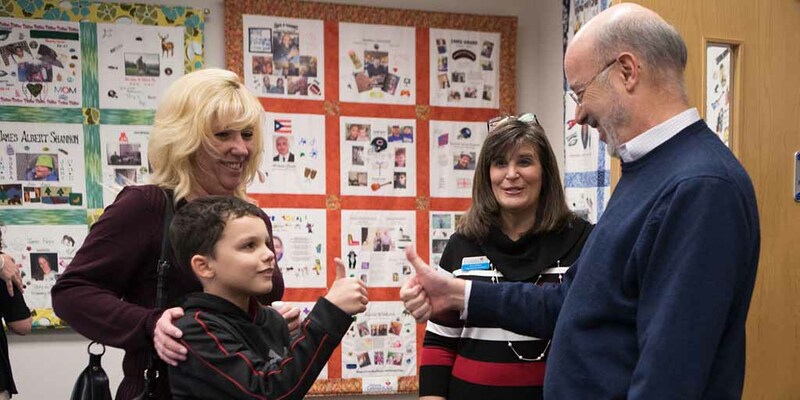 Harrisburg, PA – Governor Tom Wolf today signed two bills – now Acts 88 and 89 – into law that will support grandparents raising grandchildren, many because of the opioid epidemic. “Grandparents are stepping up to take care of their grandchildren as a result of the devastating opioid crisis or other difficult circumstances,” Gov. Wolf said. “And we need to make sure they have our full support as caregivers and legal guardians of children, the most innocent bystanders. Acts 88 and 89 support grandparents by providing ways to better navigate the system of supports and services and helping them care for their grandchildren with fewer barriers to resources. House Bill 1539 (Act 88 of 2018), sponsored by Rep. Eddie Day Pashinski, grants temporary guardianship in 90-day increments for up to one year to grandparents or other family members when the child(ren)’s parents are not able to care for them. The temporary guardianship gives grandparents the right to make vital, basic decisions for their grandchildren, such as the ability to take a child to the doctor or enroll them in school. It does so while it protects the parental rights of parents, including those suffering from opioid addiction, and considers the needs of the child to be with loving family members, rather than in foster care or another arrangement. House Bill 2133 (Act 89 of 2018), sponsored by Rep. Kathy Watson, establishes the Kinship Caregiver Navigator Program, an informational resource for grandparents and other family members, both as a website and a toll-free hotline. The website will offer information on support and services available, and a specially trained navigator will provide support and guidance to a kinship caregiver and serve as a mediator to establish relationships between kinship caregivers and relevant federal, state and local agency staff. The Wolf Administration recently announced it was awarded a $479,307 federal grant from the U.S. Department of Health and Human Services’ Administration for Children and Families to develop a kinship navigator program. The grant will help further support grandparents, other family members and children affected by the opioid crisis.